ARE YOU TIRED OF CRANKING YOUR FISH HOUSE UP AND DOWN? Available At Most Ice Castle Dealers! Turn your hand winch into a power winch! Our socket works quickly and easily with a quality cordless drill. Fits new and old style winches with no modifications. Works on winches with or without nut holding handle on. 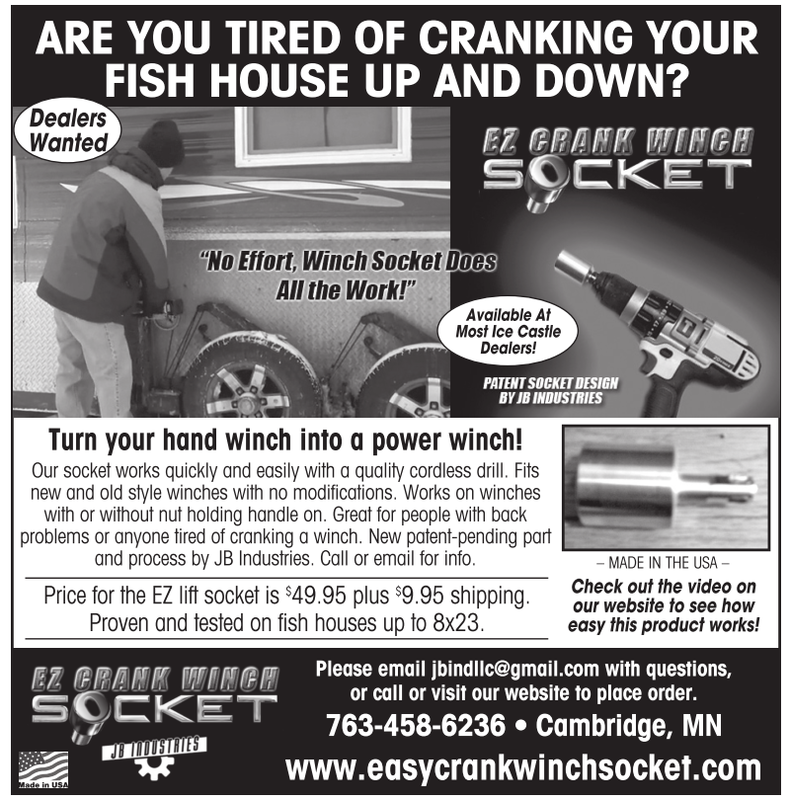 Great for people with back problems or anyone tired of cranking a winch. New patent-pending part and process by JB Industries. Call or email for info. Price for the EZ lift socket is $ 49.95 plus $ 9.95 shipping. Proven and tested on fish houses up to 8x23. Check out the video on our website to see how easy this product works! Please email jbindllc@gmail.com with questions, or call or visit our website to place order.